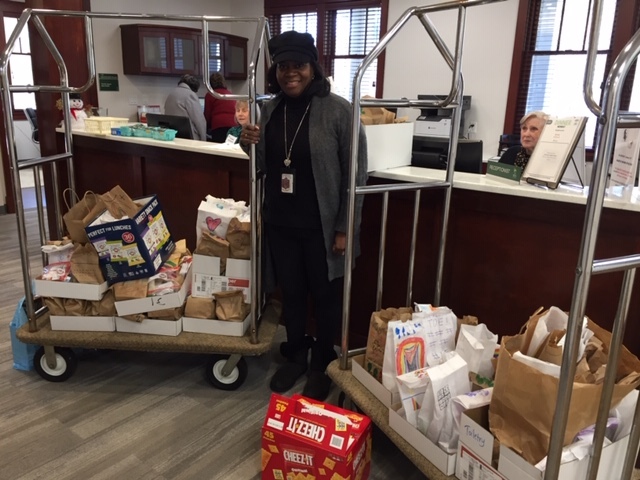 Students from Scroggs Elementary School enjoyed a fun-filled day of volunteerism last year while assembling complementary "Grab & Go" bags for Family House guests. The "Scroggs Frogs" repeated this kind activity again recently. Balanced with an assortment of chips, dried fruit, and granola bars, the students decorated each bag with flowers and words of encouragement. As many of our guests depart daily from the House for UNC Hospitals, they're thrilled to take a bit of nourishment with them to help fuel them through another long day. We thank these thoughtful and community-minded students - as well as Principal Mrs. Chrystal Epps - for their ongoing support and delivery of many boxes of complementary bags.